* Newton is the force needed to accelerate 1 kg of mass at the rate of 1 m/sec2. ** Tested in accordance with ANSI 175.2 standard. All specifications provided by Andreas STIHL AG, as of April 2016. The STIHL anti-vibration system helps reduce operator fatigue and provides a more comfortable working experience. 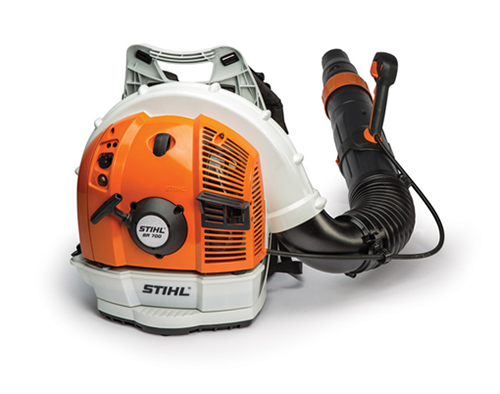 STIHL backpack blowers and sprayers are equipped with an adjustable support harness that distributes weight evenly across the shoulders and back, reducing user fatigue.